Hello Pesto! easy, delicious, and make-ahead friendly! It’s finally SPRING! Time to make fresh pesto! Making it doesn’t take too much effort, and it’s super easy to freeze for quick dinners later. 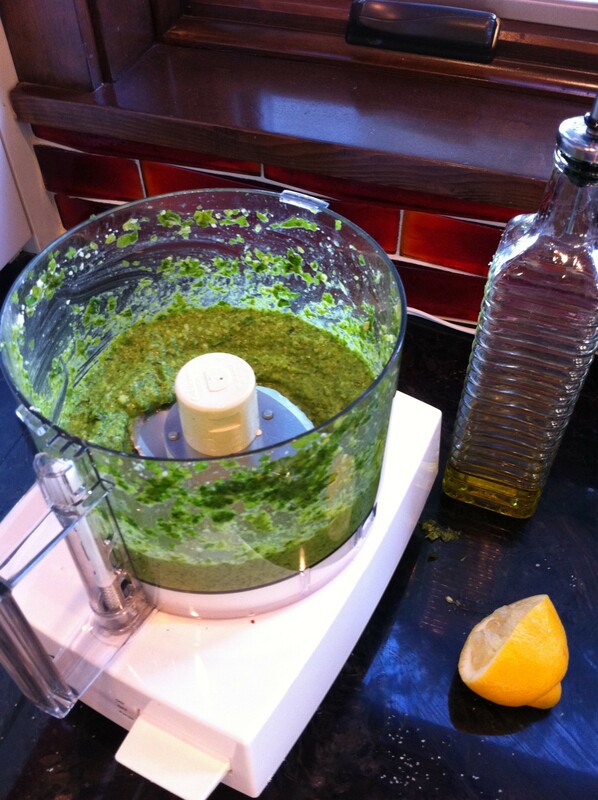 Pesto is a great Spring/Summer staple that once frozen, can give you fresh tasting dishes that you can enjoy all year!